Musikfest 2017 Founders Award - Sign Design Associates, Inc.Sign Design Associates, Inc.
A Musikfest partner since 1994, Sign Design Associates is responsible for designing, printing and even installing many of the large banners and directional signs people see when they come to Musikfest, helping guests navigate the festival and learn about all the activities and attractions. Owner Dennis Wirth and his team have become such an integral part of Musikfest branding and promotion – with Dennis even hanging Musikfest banners himself in the days leading up to the event – that many people have actually mistaken him for a Musikfest employee. 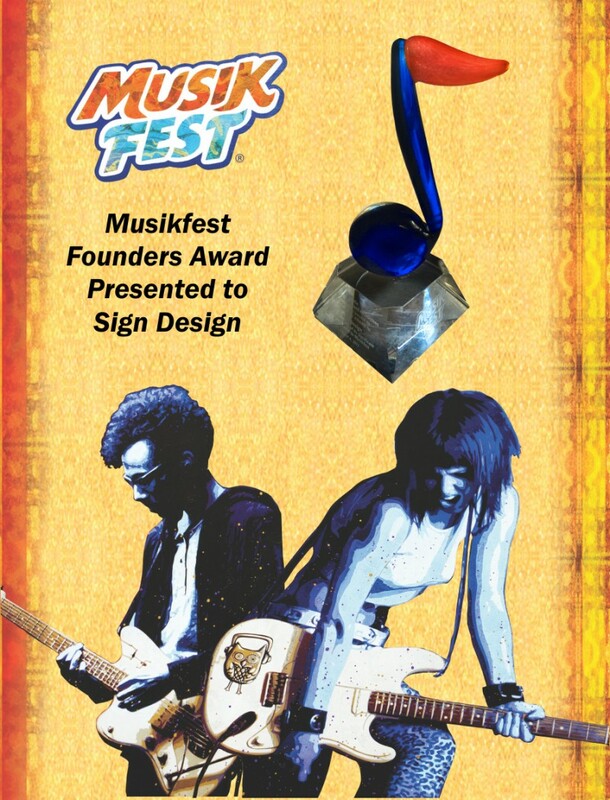 In addition to the signs at Musikfest, Sign Design has developed a majority of the signage at the ArtsQuest Center and SteelStacks, playing a key role in educating people about the campus and its programs over the past six years.